What do I need to bring daily? The only items you need to bring in is your child’s nursery bag with space clothes, their daily diary book, outdoor clothing suitable for the weather and comforters if required. Can I drop off before 8am and/or pick up after 6pm? No, our registration is from 8am to 6pm, therefore we are unable to have any children on the premises before or after this time. We ask all parents to be at the nursery by 6pm so staff can give a detailed handover of their child’s day. It can also be upsetting for children when parents are late, therefore the nursery does charge a late fee for persistent late pick-ups. When do invoices need to be paid by? We ask that invoices are paid by the 5th of each month. Invoices are sent electronically around the 24th of the month for the month ahead meaning parents should never get into arrears. Yes, we welcome all the different childcare voucher companies. Does the nursery provide the free 15hrs education from the government for 2, 3 and 4yr olds? The nursery does accept funded 15hrs from the government for 3 and 4yr olds. Unfortunately due to the size of the premises we are unable to accept 2yr old funding. When is the nursery closed during the year? The nursery is open 51 weeks of the year. It is closed for a week over Christmas and New Year and all public bank holidays. Do we get refunded if our child isn't at nursery? No, there are no refunds for when your child is absence from nursery for either sickness or holidays. I need to change the days my child attends, can this be done? 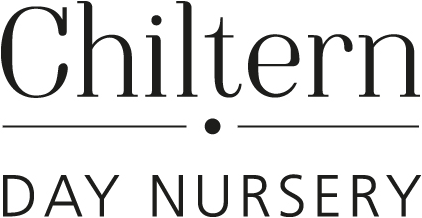 At Chiltern Nurserye we understand that it can be difficult arranging childcare to suit your own working pattern. On occasions parents working patterns do change and they need to increase or decrease day that their child attends. In any case the nursery asks for one months written notification of changing days. If we are able to change your child’s attendance pattern then of course we will but this is dependant on space being available. Can family friends pick up my child? Yes, providing you have given the nursery advance warning, and they know the password for collection. The nursery will not release a child to someone that we didn’t know was picking up. When your child is poorly, the best place for them is at home with their parents, not at nursery. Within the nursery we have a duty of care towards the children and staff making sure that they can attend a nursery that is free from infections, therefore we ask parents to refrain from sending their child into nursery when they are poorly. If a child was to become poorly whilst at nursery, we would monitor the situation and if required we would then contact parents to collect. Can medication can be giving to my child whilst at nursery? Staff are able to administer any medication which has been prescribed by a doctor. When dropping off at nursery, parents are asked to fill out a medication form with what the medication has been prescribed for, the dose and time required. If your child is on long term prescribed medication such as ventolin for asthma we would ask parents to give staff permission to administer the medication when at nursery. Staff are not able to administer medicine such as cough syrup. Do the children go outside in all weathers? Yes, the children will still venture outside for play come rain or shine. Outdoor play/learning are a vital part of your child’s day whilst with us at nursery. The EYFS states that ‘outdoor learning has equal value to indoor learning’ and that ‘outdoor learning has a positive impact on children’s well-being and development.’ So can we ask that children come appropriately dressed for all weathers so that they can experience all the garden has to offer. Does the nursery have students attending? Yes. At Chiltern Nursery we believe that everyone needs the opportunity to experience a working environment. Students are never left alone with the children and are always accompanied by a member of staff.